A coaching program for inside sales associates, both inbound sales associates and outbound sales associates, is set to launch in November. Offered by KW MAPS, a coaching and training division of Keller Williams, the program is open to Keller Williams Realty agents and agents referred by Keller Williams agents. The course is designed to help agents overcome the challenges of having to train assistants to be effective. Assistants are supposed to offer agents some relief from the never-ending demands of real estate, and an increasing number are hiring so-called “inside sales associates” to drum up and engage leads. Though many agents have used assistants to boost their bottom line, some are disappointed to learn that assistants often need ongoing training in order to effectively engage with leads — adding another task to the agent’s ever-growing list. A new real estate coaching program set to launch in November may help some agents better cope with these challenges. The program is being launched by Keller Williams Realty, but it will be open to both Keller Williams agents and agents referred by Keller Williams agents. The 12-month program is designed to train two types of inside sales associates: outbound sales associates (OSAs), who are tasked with hunting down leads through techniques such as cold-calling expired and FSBO (for sale by owner) listings, and inbound sales associates (ISAs), assistants charged with nurturing already-captured leads into clients. Assistants enrolled in the program will get two one-on-one coaching calls a month. During these sessions, coaches will help assistants set goals and hold assistants accountable to those goals. The program also will offer one group call every month aimed at teaching assistants best practices. Agent team leaders receive reports on each of their assistant’s coaching sessions and can join monthly group calls to learn best practices for managing assistants. For $1,000 a month, every assistant on an agent team can participate in the program. Owing to state laws that prohibit people without real estate licenses from answering certain questions from consumers, inbound sales associates must be licensed agents to qualify for the program. That’s not the case with outbound sales associates. Both licensed and unlicensed OSAs will be eligible for the program. Enrollees will receive instruction on prospecting and handling objections. The range of engagement tactics taught to participants will depend on whether the participant is an ISA or an OSA. Coaching program may help agents ensure their assistants are effective and comply with state laws. 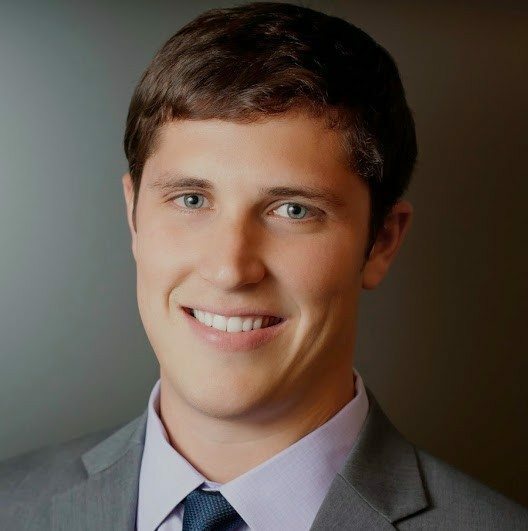 Tim Heyl, the Keller Williams’ team leader who designed the program, also founded the third-party prospecting service Phone Animal and created a lead-generation course offered by Keller Williams. “Part of the reason for the course is to coach and train so that [outbound sales associates] are doing things the right way,” he added. Demand for real estate assistants — both virtual and on-site — is surging largely due to the growth of online leads, industry observers say. Delegating the work of scooping up and converting these fickle prospects, agents and agent teams are learning, can boost the return on investment of online marketing and generate more business. Keen on divvying up tasks, agents are also leveraging assistants to contribute in other ways. Assistants can perform a variety of tasks — including processing paperwork, prospecting and lead follow-up — that traditionally have restricted the amount of time they can spend working with clients. 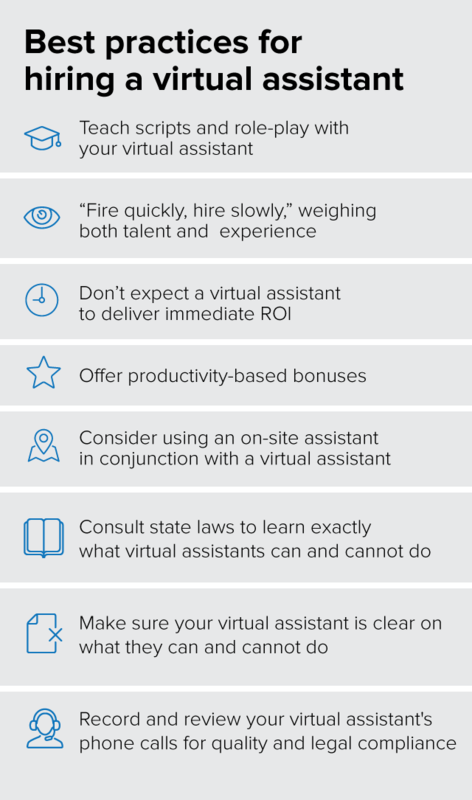 Although many agents use on-site assistants, a growing number are outsourcing work to virtual assistants. Firms such as MyOutDesk and AdminOutSource offer virtual assistants who cost less than $10 an hour. Assistants have boosted the profits of some agents, but using them doesn’t come without challenges. Agents, teams and brokerages often must be prepared to nurture assistants and carefully regulate how they engage with consumers to avoid testing state laws. Editor’s note: This story has been updated to clarify that the coaching program does not include legal advice.